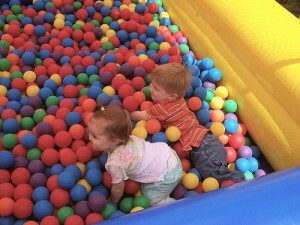 Have fun in the ball pit at the Fun Zone. The Fun Zone is where the kids can run, jump, slide and generally run off a whole lot of energy. Located on the grounds of Dalhousie University in central Halifax, the Fun Zone is an ideal rainy day activity. There’s a ball pit, several slides, tubes to crawl through and more, spread over three levels and it’s open every day, all day long. Even better, if you want to enjoy a workout of your own, they offer babysitting services (call to check availability), so you can hit the pool or the gym while the kids play. Getting there is really easy. Buses run nearby (take Route 10 from the waterfront ferry terminal or Route 41 from Barrington Street) and it’s only a few minutes on foot from the Public Gardens. When you get there, just buy a day pass, which gives you access to all the facilities at Dalplex for the entire day. Directions: 6260 South Street, Halifax. Opening hours: Monday to Friday, 6am to 8:30pm. Saturday 9am to 5:30pm. Sunday, 11am to 5:30pm.